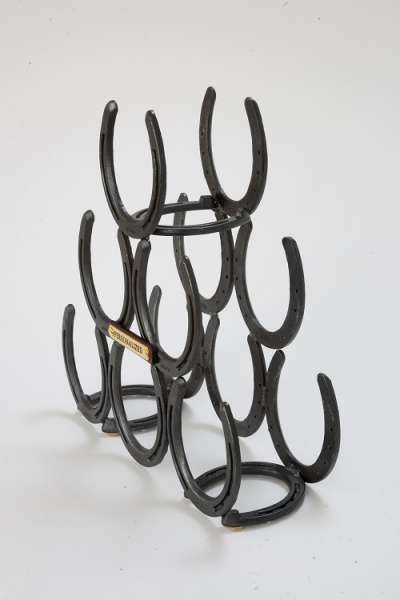 Offers an impressive presentation, weighing 11 pounds and measures about 16 by 12 by 5 inches. 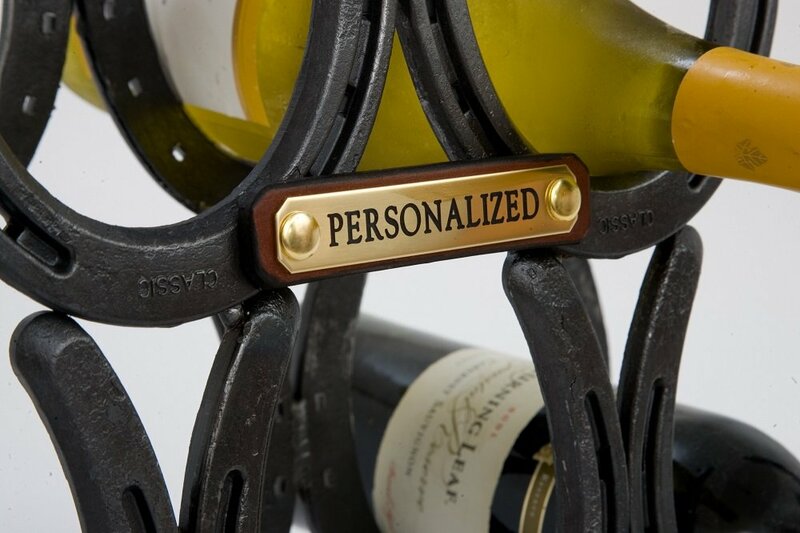 Our authentic steel horseshoe wine racks can be personalized with a solid brass nameplate like those found on yearling halters. 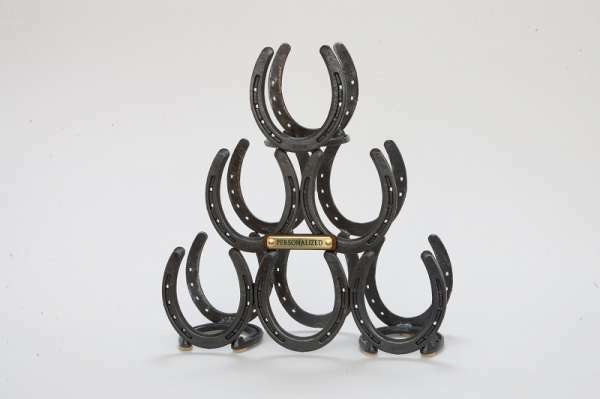 They are available in two finishes, classic and distressed. Over a period of time, your wine rack may express a few pleasing signs of aging, which is to the liking of all who own one. 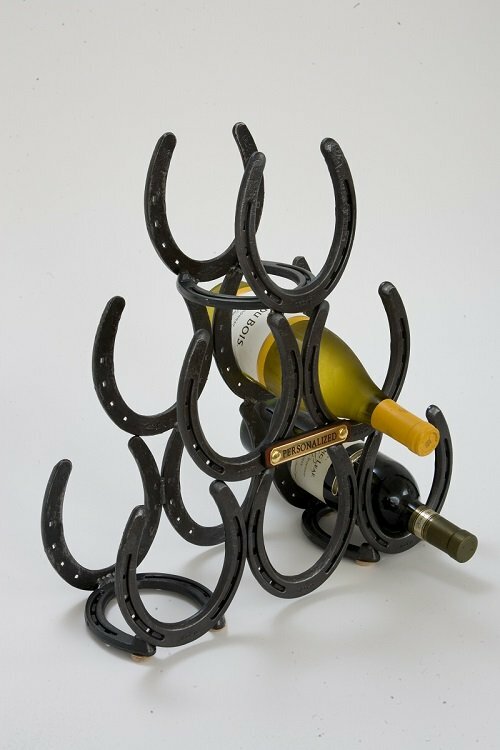 The Authentic Horseshoe Wine Rack is a perfect personalized gift idea for wedding presents, housewarmings and corporate gestures. 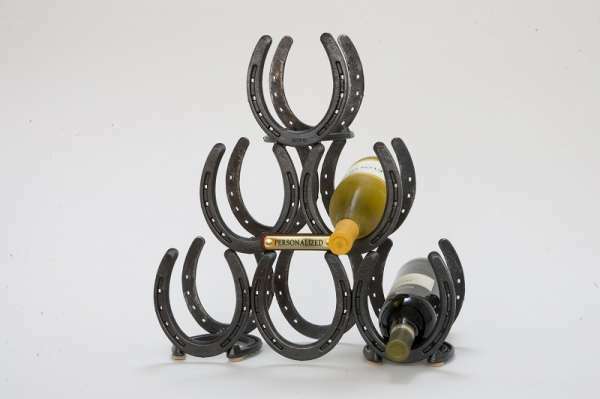 Purchase Your Wine Rack Today!